and revealed his righteousness to the nations! the salvation of our God!" If God no longer did marvelous things or if he no longer did new works then we could rest content singing him the old songs. But, new works of God and fresh acts of salvation should be welcomed with new songs (Psalms 33:3; 40:3; 96:1; 144:9; 149:1) and spontaneous expressions of gratitude. Remembered his covenant of loyal covenant love (hesed) with Israel and delivered them. Revealed his righteousness to men. Brought his salvation to the ends of the earth for all the nations to see. These verses may speak prophetically of the one final act of salvation – the last, great restoration of Israel. When this happens it will mean worldwide rejoicing. This new work of salvation will rightfully be greeted with new songs of praise, thanksgiving, rejoicing and worship. Existemi though was used in a variety of settings and by a variety of authors. psychological way to identify a deranged mind and mental madness. Herodotus, the historian, used it to refer to leaving the route of travel. Hormuzd Rassam (1826-1910) discovered a cylinder of Babylonian king Nabonidus in southern Iraq. This cuneiform text explains that Belshazzar was the son of King Nabonidus and Belshazzar was left in charge of Babylon as the king while his father Nabonidus was gone for ten years in the Arabia renovating temples and establishing trade agreements. I will "A mocker resents correction; he will not consult the wise." 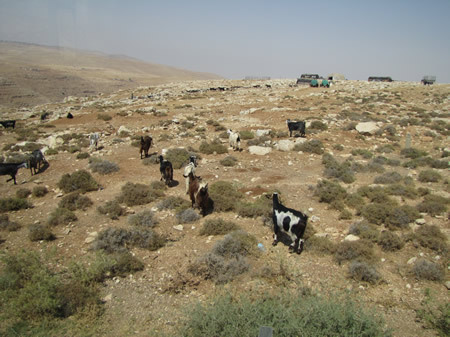 Goats in the wilderness near Jericho. 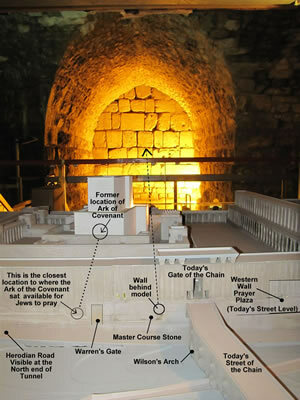 The Western Wall model that sets in the Western Wall Tunnels with the Western Wall in the lighted background is labeled in this image. 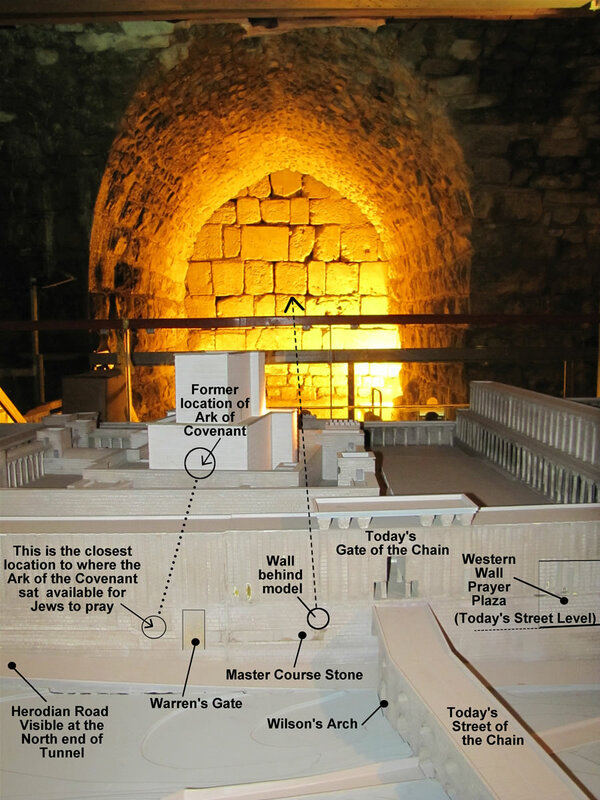 (Details of the Western Wall Tunnels are here.